Winona Lake, Ind.-The National Christian College Athletic Association has released the new site for the 2008-09 Women’s Basketball National Championship Tournament. The Division I tournament will be hosted by Grace College and the community of Winona Lake, Indiana, March 12-14, 2009. The new Orthopaedic Capital Center will be the site of all 12 games and is a state of the art facility. It will serve as one of the finest arenas to ever house an NCCAA Championship. 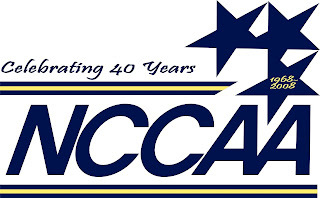 “From your first step into this facility, the quality and the atmosphere that should surround an NCCAA Championship is evident,” states NCCAA Executive Director, Dan Wood. Fans will enjoy the 2,200-seat arena and the teams will appreciate the outstanding locker room and VIP facilities. Under the direction of Athletics Director, Chad Briscoe, his staff and various community agencies, the support is present for a long term relationship for this event with Grace set to host through the 2009-10 season.